Just back from Hawaii and the beautiful island of Maui. Spent most of the time on the beach working on my tan, swimming with sea turtles (and in one case a reef Shark, which freaked me out after watching an entire week of Shark Week). Anyway the rental bike was a Cannondale Super Six with Ultegra and the whole BB30 thing going. Needless to say that bike was absolutely sick, light, and super stiff. 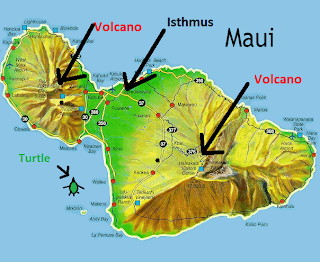 So Maui, the island, is composed of of two dormant volcanic mountains, with an isthmus connecting the two. I didn’t know what the hell an isthmus was either….apparently its some flat land connecting to larger land masses, like volcanoes. Anyway my first big ride of the island adventure was around the mountain on West Maui, which was about 60 miles. I thought, no biggie, I’m a Cat. 1, I can get it done in like 3 hours. 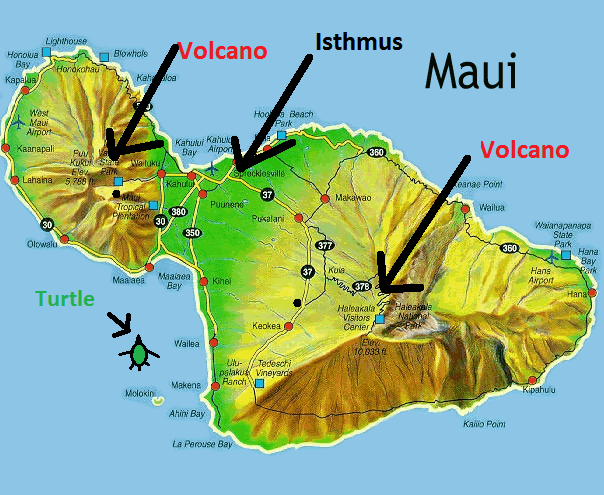 I was oh so wrong, I started from our Hotel in Kaanapali and went north. The first 5 miles were deceptively flat, then boom a 300 ft climb, which is big when things come to the Midwest. The road continued rolling along up to the rocky northern of the island coast of west Maui. Once on the north side the coast line became jagged cliffs. This meant that when the road came to each bay, it would descend into the bay, then climb back out…at something like 12% for a mile. After a brief respite the road would dip into another bay. The road in the distance in the picture above was the doosie of the day at well over 17% for like a mile, ugh. I was still in pretty good spirits, and my nose was not yet sun burnt. Then I noticed a sign: State Highway Ends. The road was generally alright after the sign, a little more rough but nothing too bad. The road then took another right hander down into a bay containing the extraordinarily remote town of Old Kahakuloa. At this point about 1.5 lanes of the two lane road disappeared, leaving something of a bike path that was barely wide enough for a single car. This was also the beginning of the largest climb on the ride, a brutal 1000 ft climb that stair stepped over the course of 5 miles. As I crested the climb, the fruits of the 1000 ft climb became apparent. The first was the reintroduction of state highway and butter smooth pavement descent, the second was a great view of Kahului (the large town of Maui) and the mountain of Haleakela. I was pretty smoked by this point. But after the descent I was treated to some of the characteristic Trade Winds that came out of the north and pushed me back at 40 mph most of the way back. This was a very very Epic ride, nearly as epic as the ride up Haleakela: which requires a blog post for itself, later.